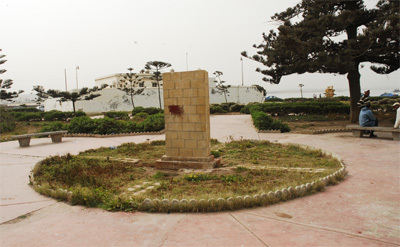 Several other film directors, have utilised Essaouira's photogenic and atmospheric qualities. 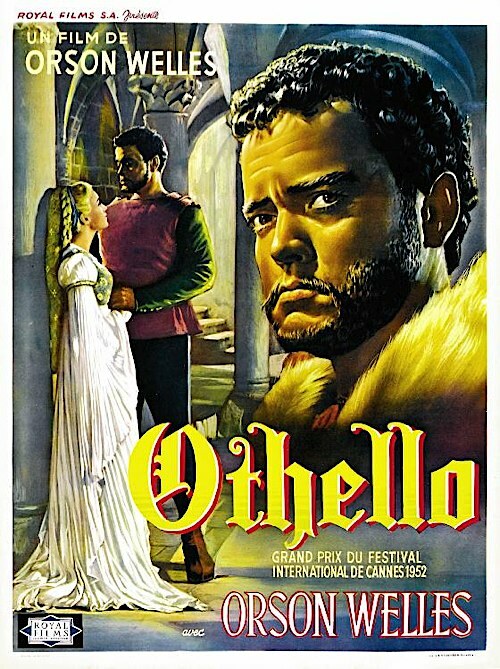 From 1949 to 1951, Welles worked on Othello, filming on location in Europe and Morocco. 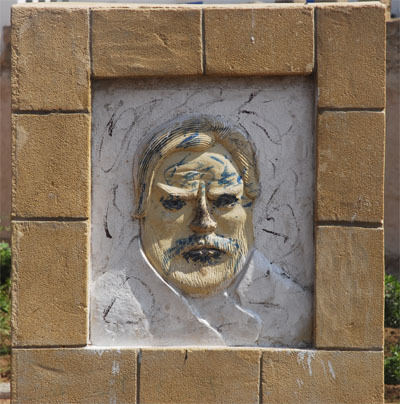 "A film is never really good unless the camera is an eye in the head of a poet"
In the early fifties, the film director and actor Orson Welles stayed in Essaouira filming his classic version of Othello which contains several memorable scenes shot in the labyrinthine streets and alleys of the medina. 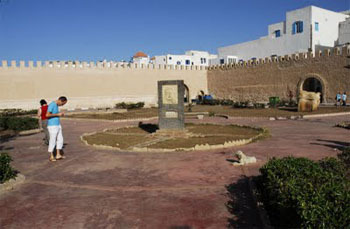 The opening shot of the film pans the full length of the Scala, the great sea bastion running along the northern cliffs of the town. 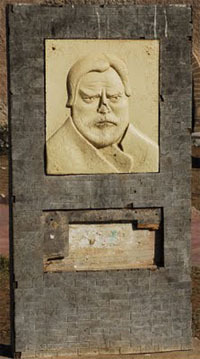 Orson Welles's bust is located in a small square just outside the medina walls close to the sea. 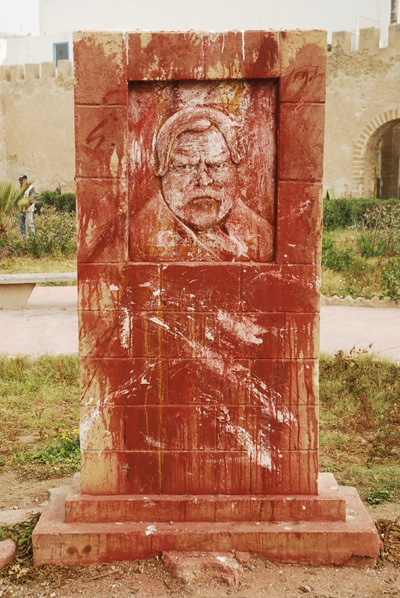 It is in a neglected state being covered in bird poop, graffiti and with a broken nose. In addition, the dedication plaques has been stolen. 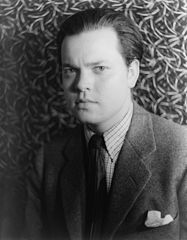 Orson Welles stayed at Hotel des Iles (built in 1948 by Antoine Marchisio) and in this hotel there is a bar and a suite named after him. It is said that he met Winston Churchill there, who also was a guest at the hotel at that time. 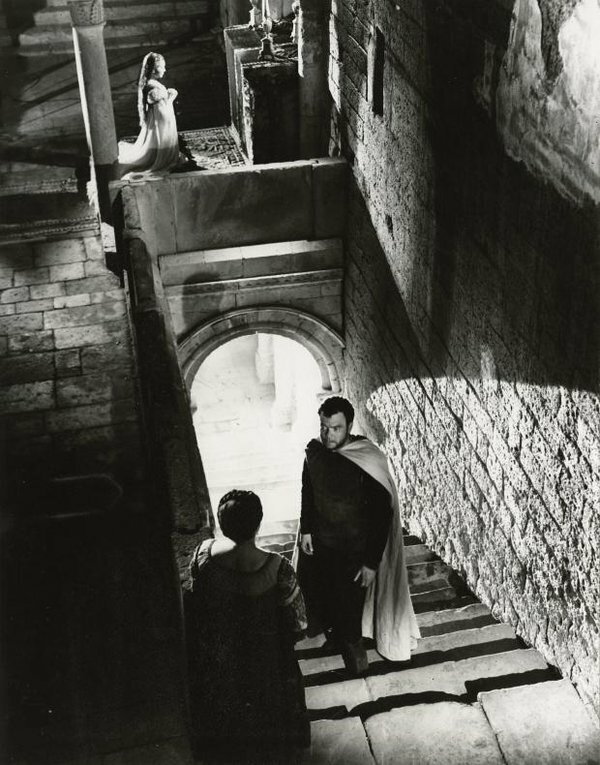 "During this time, Welles was channeling his money from acting jobs into a self-financed film version of Shakespeare's play Othello. 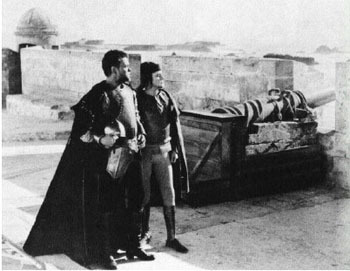 From 1949 to 1951, Welles worked on Othello, filming on location in Europe and Morocco. 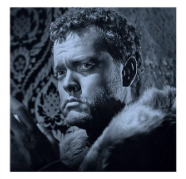 Filming was suspended several times as Welles ran out of funds and left to find other acting jobs. When it premiered at the Cannes Film Festival it won the Palme d'Or, 1952, but was not given a general release in the United States until 1955." 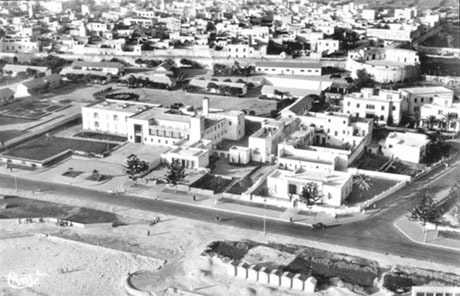 Maréchal Juin Resident General in Morocco (1947 - 1951) visited Mogador the 4th of May 1951 and inaugurated Hotel des Iles. 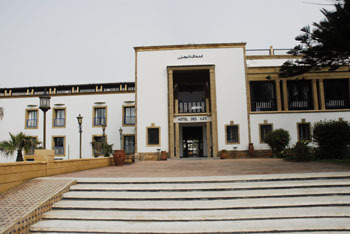 * La Mamounia, situated in the old city of Marrakech, is the most storied of grand hotels in Morocco. Designed by Henri Prost and Antoine Marchisio. 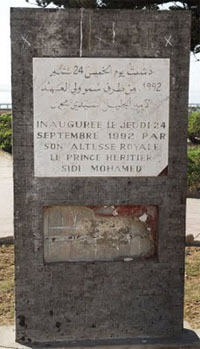 It opened in 1923 in the nearly 20-acre garden given to Prince Moulay Mamoun by his father, Sultan Mohammed III, as an 18th-century-style wedding gift.